Teeth whitening is a quick and noninvasive, conservative dental cosmetic treatment. Whether you lean towards an hour bleaching session at our dentist’s office or you would like to give our home bleaching system a try, the treatment will be much less involved and costly than porcelain veneers or composite bonding. 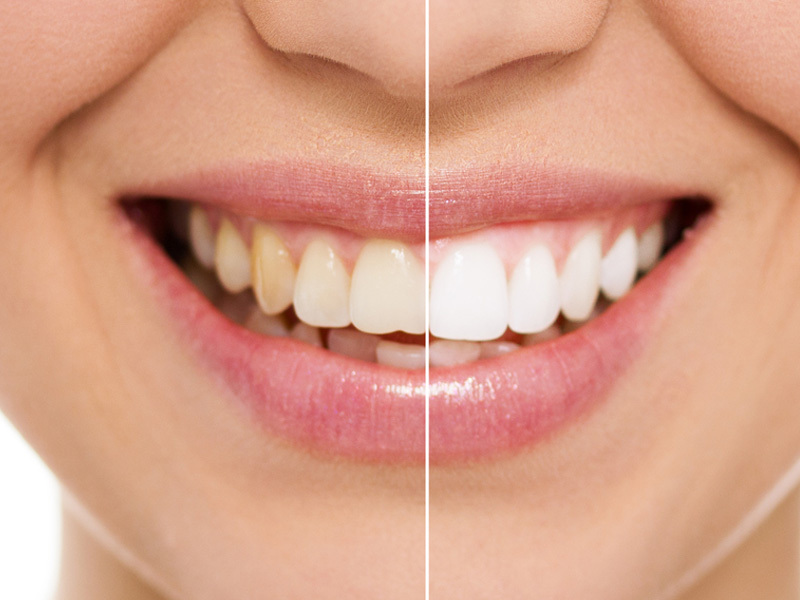 At Precision Dental Group, we offer a “take home” bleaching system. In this treatment method, moulds will be taken off your top and bottom teeth, and custom, individually fitted bleach trays will be fabricated for your specific needs. A bleaching gel will then be applied to the tray – the tray must be worn for two hours each night, for a period of 7 to 10 nights. The gel will aid the removal of any stains and discoloration, it will brighten and whiten your teeth while leaving the surrounding tooth structure, gums and facial area completely unaffected. These two terms, while often used interchangeably hold a slightly different meaning. A teeth whitening process restores your teeth back to their original, natural color by removing all dirt, debris, and extrinsic stains. Bleaching, on the other hand, refers to the process of whitening your teeth to shades beyond their normal, natural color. The great thing about this cosmetic treatment is that it works – and it works great. You will absolutely see moderate to substantial results, no matter whether you take the home whitening system or undergo a bleaching session. It needs to be stressed, however, that while certainly effective, this is by no means a permanent solution. Regular maintenance along with sound oral hygiene practices are a necessity in order to sustain the effects of the treatment.